The internet has led to what some have called the ‘Information Age’ where seemingly anyone can access the information they need at any time at any place on the planet. For those with back stories that they would rather hide, this can mean that there are fewer places to hide unless they are extremely clever. 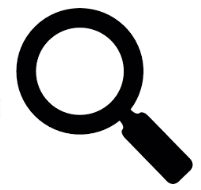 Let’s look at why you might want to do a public records search. Someone too good to be true? Have they been made bankrupt? What about their criminal record? Have they messed with children in the past? Were they really born when and where they said they were? You can find these answers to your questions and many more through a simple background check. If you have children and want this apparently wonderful, amazing person to be a part of their lives too, so the search should show up any red flags. Are they after your heart or your children’s bodies? There are Federally mandated checks for businesses’ employees such as drugs testing. Those checks don’t show everything about someone’s past. You might want to see if someone really got the academic qualifications that they claimed on their resume. If your business relies on honesty then it could well be important to do that public records check to see if they have a criminal record that they have not declared. It is ultimately down to you to decide on whether you want to allow someone a second chance in life due to a minor lapse of judgement in their young adulthood, or whether to only allow the most upstanding individuals in your workplace. Businesses also like to have a bit of intelligence on people they deal with who are not employees. You may see a business deal that is just too good to be true but the internet yields little on whether it is a scam. What about the person behind it? Have they fraud convictions? Are they the person they say they are? If they were not apparently born or did not get an education then you might have something to worry about regarding what they are offering you! Sometimes is helps to find out what others know or can find out about you in much the same way as you would do a personal credit score check. That can enable you to do things that can rectify your past problems, or demand from a public body that the inaccurate record is corrected. That can help you move ahead in life.